Time to put your thinking caps back on! The Megathon is here. What is it? 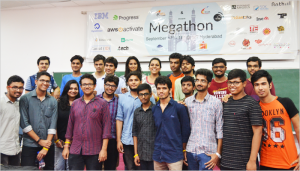 A mega brainstorming of life hacks over a marathon session. 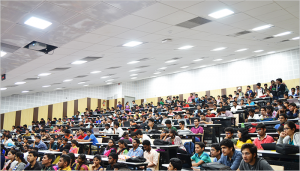 And this student-led event jointly organized by the Entrepreneurial-cells (E-cells) of IIIT-H and IIT Hyderabad respectively is here again, but in different avataars.For those who came in late, the E-cell is a non-profit organization run by the students to build an ecosystem where networking and knowledge sharing can happen. As part of the objective, they conduct several events, seminars and workshops for cultivating the entrepreneurial spirit of not just IIIT-H students but of those beyond. With a view to dissolving geographical boundaries and making the event accessible to students from across the country, an online edition is now being made available. One of the social challenges presented last year was in the realm of Women’s Safety. Buoyed by its success, the organizers felt the need to take the subject of Women’s Safety to the national level since it continues to be relevant and one of the most pressing issues of today. The idea is to find different solutions (not limited to technology) to the problem that can be implemented and eventually taken to the market. What this means is that the solutions need not be restricted to creating Apps or dependent on the Internet. Any idea or an awareness which improves women safety is acceptable. The only constraint is that the solution should be implementable by the students themselves.Suggestions topolicy changes involving governmental intervention are a No-No. “We really want to make our small contribution to this important issue and hope for a safer nation for women,” says Atirek Kumar, 2nd year student and Social Media and PR Head of E-Cell, IIIT-H. This event is conducted in partnership with several NGOs such asYoungistaan Foundation, SAFA India and Being Women,and also with HackerEarth who will host it on their online platform. Goodies worth Rs.1000 each for top 25 teams . Typically students working in teams get 24 hours to work on challenges thrown to them by industry experts and other academic mentors. Out of the 4 problem statements put forth to the students, they have to choose one. According to the organizers, the goal is to provide technological solutions to issues where eventually students prototype and implement ideas under the guidance of mentors from the industry and academia in 24 hours.This is then followed by pitching of the business models or prototypes. This event is also open to all Indian college students with a valid student ID. For out-of-town students, accomodation arrangements are made at IIT Hyderabad against a nominal charge. In the past, problem statements covered topics like Smart Cities, Privacy and Security, Women Safety, Chat-bots and E-commerce from the corporate and social categories respectively. Some of the winning solutions were a ‘Power monitoring system to improve efficiency and reduce wastage of electricity across each appliance on a real-time basis’ to the Smart City problem statement, ‘An integrated offline mobile application to get connected with Police and relatives in case of emergency which also provides a platform to police for spam and image morphing detection over web’ in response to a statement on cyber crimes prevention, among others. This year, the focus is on corporate challenges with the social focus restricted to the online round. The buck doesn’t stop at the Megathon! Teams selected from the onsite Webathon in each problem statement will be mentored by incubators, top academics and partners to convert their ideas into products/ services with a revenue model. These shortlisted teams then get an opportunity to pitch their winning ideas at this event in front of VCs, Corporates and distinguished academicians. Alongside this event, there will be Entrepreneurship Workshops and sessions from Founder Students, Business Plan competitions, Elevator Pitch competitions and case studies on the business challenges presented by the sponsors. 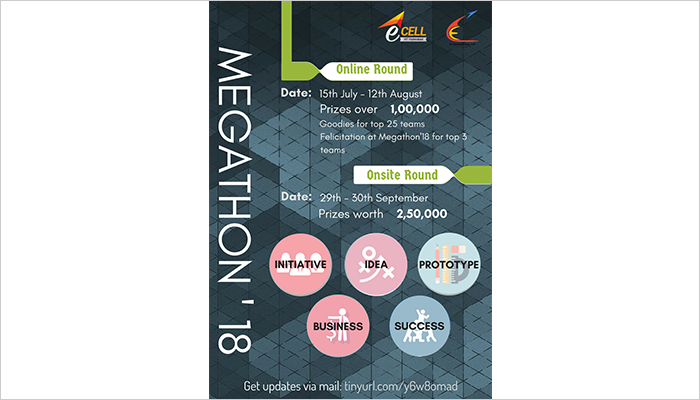 All of which will be open to all Megathon participants and not just the shortlisted teams. While the workshops are intended to develop technical skills and foster entrepreneurship in students, at the Business Hack event, teams pitch their business models with a unique opportunity of converting them into products/services which can then be taken to the market. Can public come and see the Megathon .. LIVE! ??? 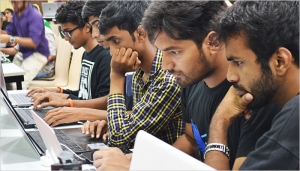 I was shortlisted for under top 25 teams in online hackathon. Then is that we need to come on 29th to collect the prize?If we have to come ,is that I need to pay the participation fee?